Legislators whipped through hundreds of bills in the last two weeks as they confronted critical deadlines in the lawmaking process. Some bills died very visibly following vigorous public debate, while others went out with a whisper, simply by never being brought up for a vote or by getting buried in the appropriations committee’s secretive “suspense file.” A fiery example this year was the decision to snuff out a bill meant to regulate flamethrowers—essentially toy guns that spit flames more than two feet long. Hundreds of bills are still making their way through the Legislature, which has until Aug. 31 to act on anything that will be heard this year. Some of the proposals still active aim to create more accountability for police shootings, make it easier for sexual harassment victims to come forward, improve utility infrastructure to prevent future wildfires and reduce pollution by limiting plastic drinking straws. After allegations emerged last year that sexual harassment was rampant in the state Capitol—which ultimately led three legislators to resign—lawmakers wrote a stack of bills inspired by the #MeToo movement. Many of them are passing through the Legislature with broad support, but a few ideas have stalled out. A proposal to change the Legislature’s public records law so that documents concerning substantiated misconduct complaints are made public (they can be kept secret under current law) never even came up for a vote. Ditto for a bill that would have made government officials personally pay to settle harassment claims, rather than having taxpayers foot the bill. A special committee is working on establishing new policies to prevent and respond to sexual harassment in the Capitol. It’s possible that ideas that have stalled will be revived when the committee presents its recommendations at the end of the month. Following last year’s deadly wildfires that destroyed more than 10,000 structures, California lawmakers introduced several bills meant to help homeowners dealing with insurance headaches. The insurance lobby successfully killed two of them: Senate Bill 897, which would have waived requirements that homeowners present an itemized list of the contents of their house to get reimbursed following a governor-declared state of emergency, and Senate Bill 1291, which would have made certain insurance adjusters go through background checks and a training course. The Democrats who carried the legislation—Sen. Bill Dodd of Napa and Sen. Mike McGuire of Healdsburg—said it responded to complaints from their wine country constituents who lost their homes in the autumn blazes. Some were confronted by insurance adjusters who misrepresented the law, while others found it impossible to itemize every possession that burned up. “This legislation requires insurance companies to have our backs when we need it most and will benefit victims of future disasters,” Dodd said in announcing the bills. But insurance companies argued that the legislation could have provided greater coverage than customers paid for, increasing the cost of insurance on all homeowners in California. They said the bills would have effectively caused homeowners in less-risky regions to subsidize insurance for homeowners in more fire-prone zones. Lawmakers punted on several bills that were supported by groups trying to change the criminal justice system and help offenders reintegrate in society. Many of them stalled in an appropriations committee where they can go down without a public vote, including bills to help children whose parents are incarcerated, speed up the process for offenders to clear their records after they complete probation and make it easier for people to view their own criminal record and harder for employers to access expunged convictions. A bill to repeal one-year sentence enhancements for felony convictions—one piece of a larger package of criminal justice reform bills by Democratic Sens. Holly Mitchell and Ricardo Lara—died on the Senate floor when eight Democrats joined Republicans in opposing it. Lawmakers opted not to approve two bills designed to help college students cope with California’s skyrocketing cost of living. One—authored by Democratic Assembly members Anna Caballero of Salinas and Joaquin Arambula of Fresno—would have set up a pilot emergency housing loan program at three California State University campuses, giving students at risk of eviction enough money to pay rent for a year. Another would have offered eligible low-income students grants covering 10 meals per week at campus dining halls. While California offers more financial aid for higher education than many other states, state help for living costs is limited. The main grant that helps students pay for non-tuition expenses, the Cal Grant B, stands at just under $1,700 per year. In a recent survey, 1 in 10 CSU students reported experiencing a housing crisis in the past year, while more than 40 percent said they did not have reliable access to healthy food. The bills garnered little official opposition. But a legislative analysis found the meal plans would cost $480 million per year to provide. Legislators also took a pass on increasing the number of competitive, state-funded scholarships available to low-income students who don’t go directly to college after high school. Some 300,000 applicants miss out on that aid each year, even though their grades and family income qualify them to receive it. A trio of bills seeking to regulate or protect California’s charter schools failed to advance, signaling that the power of the teachers union and charter advocates hasn’t waned since last year, when they fought to a stalemate in the Capitol. Senate Bill 1362 by Democratic Sen. Jim Beall of San Jose would have given school districts greater authority to reject charter petitions when the board determines that the school “would not be in the best interests of the pupils of the community.” SB 949 by Democratic Sen. Ben Allen of Santa Monica and SB 1216 by Democratic Sen. Steve Glazer of Orinda addressed whether charter schools must comply with the conflict-of-interest, open public meeting and transparency rules that traditional school boards must follow. On its face, Glazer’s bill sought to codify that charter schools must comply with the Brown Act and the California Public Records Act. But really it would have carved out exceptions from those good government rules. The California Teachers Association opposed that one. Responding to recent shootings, Assembly Bill 1983 authored by Republican Assemblywoman Marie Waldron of Escondido would have required school boards to hire local police to conduct a security assessment. The bill stalled in the Assembly’s appropriations committee. The state has tens of thousands of so-called ‘orphan’ wells, idled or abandoned oil and gas wells that may continue to leak harmful emissions. AB 3146 would have required air pollution testing on wells near buildings, an expensive requirement opposed by California’s oil producers. The legislation, authored by Chris Holden (D- Pasadena), did not advance out of the Assembly. 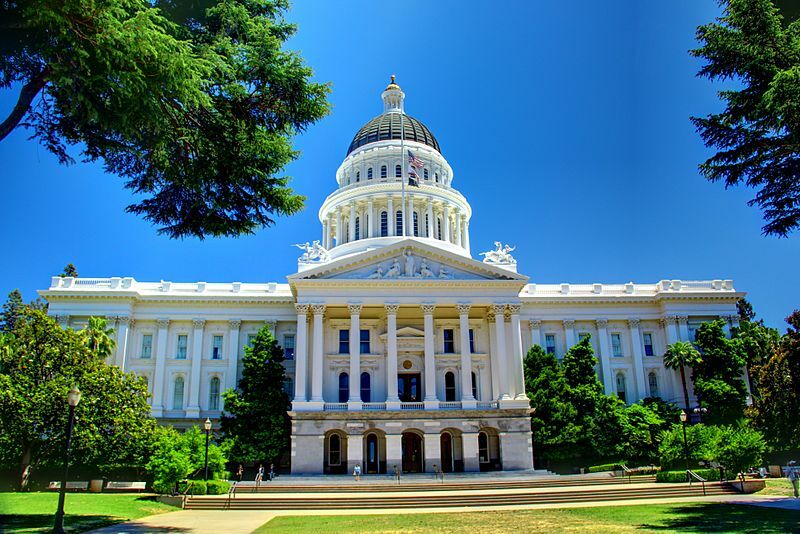 A bill to place controls on health care prices faced an uphill battle since its inception, including furious lobbying against it from the California Medical Association. The bill by Assembly member Ash Kalra of San Jose would have tied the cost of a particular service or procedure to Medicare rates, so it was opposed by hospitals, physicians and insurance companies alike. It had union support, but that wasn’t enough to move it forward. A much smaller piece of health care legislation by Assembly member Joaquin Arambula of Fresno tried to limit cost-sharing in plans purchased through Covered California for people below 400 percent of the federal poverty level. That failed as well. CALmatters reporters Felicia Mello, Jessica Calefati, David Gorn and Julie Cart contributed to this report. CALmatters.org is a nonprofit, nonpartisan media venture explaining California’s policies and politics.